This year, go west for your big day. The top wedding venues in Tullamarine are amongst the best in Melbourne! Are you planning a West Melbourne wedding in 2019? Check out our list of the Top Wedding Venues in Tullamarine. Tullamarine is generally just known as the location of Melbourne Airport, but did you know it’s also a great place to hold your wedding and reception? The spacious region of West Melbourne is easy to access via numerous highways across Victoria and, of course, being the home of Melbourne’s main airport makes it perfect for those who have to fly to attend your special day. Being in such a convenient location makes it the perfect suburb to accommodate our spread-out 21st-century families. It is not unusual to have relatives in other states and countries. Having your wedding reception in Tullamarine will save your family time, money and trouble, while also providing a number of incredible venues that will exceed your wedding dreams and thoroughly impress guests. If you’re lost on which of the many venues offering various kinds of wedding celebrations in Tullamarine to choose from, here are some of the top wedding venues in Tullamarine. This venue offers a beautiful space to hold your wedding reception. Its sleek, high-class and welcoming atmosphere will make everyone, especially you, feel well looked-after and cared for. The centre boasts exceptional services, such as support from a dedicated wedding team, recommendations on all wedding supplies and services and a mouthwatering gourmet menu. Melrose Melbourne Conference and Reception Centre is also very convenient, located right next to the intersection of the Western Ring Road and the Tullamarine Freeway and only 10 minutes from Melbourne Airport. Skyways Hotel is a great option if you’d like to provide your guests with accommodation after your reception. Allowing for easy accommodation means that your guests can relax knowing that everything is onsite, with no taxi or Uber costs – all they have to do is have fun, celebrate you and then sleep! Skyways Hotel has a fantastic and spacious function room, sports bar and elegant bedrooms. Your guests will be so thankful to have their bed only a few floors above them after the tiring day a wedding can be. If your guests are primarily coming via the airport, make it even easier for them by booking your wedding reception at the Parkroyal Hotel, which is literally right next to Melbourne Airport! The hotel is complete with a massive ballroom which can accommodate a whopping 400 guests. Once again, your guests will also be able to stay the night in one of the hotel’s elegant rooms, and enjoy room service along with the Australian and French dining provided by the hotel. While just slightly out of Tullamarine, Overnewton Castle is well-known as one of the most magical, cozy and natural wedding venues in Melbourne. Still only a 10-minute drive from Tullamarine, Overnewton Castle boasts a traditional chapel, a number of unique reception venues and various cottage-style accommodations, all brimming with traditional English-inspired quaintness. Perfect for the couple who want the fairy-tale wedding of their dreams and don’t want to travel too far. These are just some of the top wedding venues in Tullamarine. Hopefully we’ve helped make the daunting and time-consuming task of researching wedding venues a bit easier! 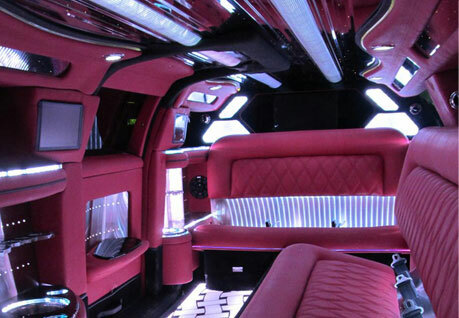 While you are planning your venue, make sure you have the best silver limousine hire in West Melbourne booked. 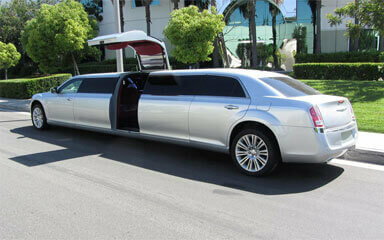 A Touch of Silver can add to your fairy-tale wedding, bringing a touch of romance with our silver Chrysler limousines. 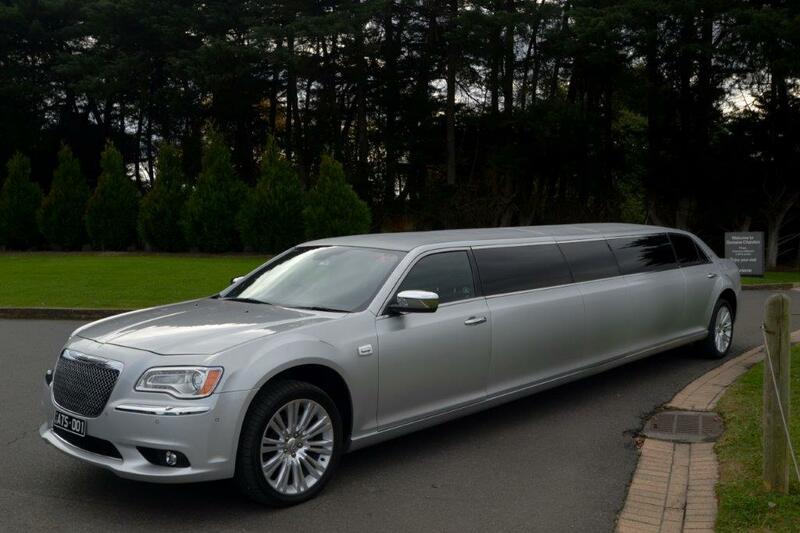 Operating throughout Melbourne, as well as the Tullamarine area, A Touch of Silver will help make your day special. Contact us for more information.